Scott Cohn is an independent journalist with more than 35 years of experience covering news and public affairs worldwide. He is a frequent contributor to the global business news channel CNBC, where he serves as a special correspondent, as well as to the other platforms of NBCUniversal, including NBC News and MSNBC. He also contributes to Public Television’s Nightly Business Report and the popular public radio program Marketplace. Cohn’s reporting has received multiple honors, including the Edward R. Murrow Award from the Radio Television Digital News Association (RTDNA). 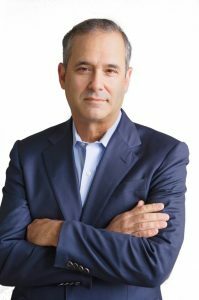 He is a two-time recipient of business journalism’s highest honor, the Gerald R. Loeb Award, and has been nominated for three Emmy Awards, all for investigative reporting. Before launching his own California-based production company in 2014, Cohn spent more than 25 years as a reporter for CNBC. He helped launch the network in 1989, eventually rising to Senior Correspondent. He established the CNBC Chicago bureau as well as the network’s investigative unit. Along the way, he reported on many of the most important business and financial stories in CNBC’s first quarter-century. They include the Enron and WorldCom scandals, the technology bubble, the 2008 financial crisis, and the human and economic devastation of Hurricane Katrina in New Orleans. He has traveled to all 50 U.S. states, reported from more than a dozen countries, and interviewed the famous and infamous, from Warren Buffett to Bernard Madoff. Previously, Cohn was a local anchor and a reporter for ABC affiliate WZZM in Grand Rapids, Michigan. He also worked as an anchor and a reporter for NBC affiliate WEAU in Eau Claire, Wisconsin, and for Wisconsin Public Radio and Television in Madison. A native of Chicago, Cohn earned his bachelor’s degree from the School of Journalism and Mass Communication in 1981. In addition to serving on the Board of Visitors, he was a founding member of the Advisory Board for the Center for Journalism Ethics from 2010 to 2017. In 2005, the school honored him with its annual Distinguished Service award.